An instrument invented two centuries ago was said to drive those who heard it mad, even to to the point of suicide. The glass harp, or glass armonica was actually banned as a danger to public health.. But was it the acoustic properties or the cultural environment that made it so toxic? The astonishing history of that instrument, from the parlour to the paranormal in 18th-century Europe, and to 21st-century parallels, investigating how sound can shape our behaviour. First broadcast by CBC Radio March 18, 2019. THE WIRE - WHAT ELECTRICITY DID TO MUSIC. Somewhere between a documentary, a remix and a music show, this 8-hour series explores the impact of electricity on music, from Edison to Caruso to Les Paul to Bjork. Interviews with Robert Moog, Les Paul, Karlheinz Stockhausen, Steve Reich, Kid Koala, Akufen, DJ Spooky and others. This Peabody & Prix Italia-award-winning classic originally aired 12 years ago, now back for an ear-bending repeat! Coproduced for CBC Radio by Chris Brookes, Paolo Pietropaolo and Jowi Taylor. Analysing stories is territory traditionally claimed by writers, critics, and university scholars. 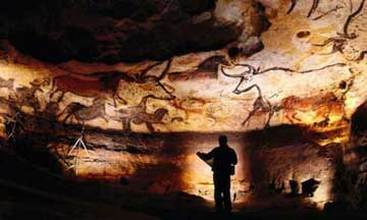 But recently, evolutionary psychologists have begun to look at the human propensity for storytelling from a scientific perspective. Why are we humans such suckers for a good story? Literary critics find the answer in story structure, characters, and plotlines. ​The literary Darwinists find the answer in evolution. 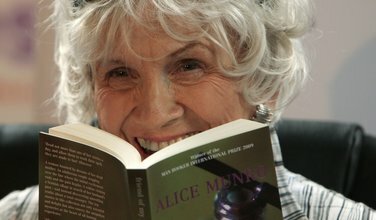 In 2013 the renowned author Alice Munro became the first Canadian woman to win the Nobel Prize for Literature. On a cold autumn evening in St. John's, a group of women gather for their regular book club. Over snacks, wine and tea, they discuss Alice Munro's work, and reflect upon how her stories illuminate elements of their own lives. One of the founding fathers of free jazz, Montreal-born Paul Bley, died this week at the age of 83. In 2008, we recorded pianist Renee Rosnes in conversation with one of jazz piano's true innovators. "Deeply original and aesthetically agressive, Mr. Bley long ago found a way to express his long, elegant, voluminous thoughts in a manner that implies complete autonomy from its given setting but isn't quite free jazz. The music runs on a mixture of deep historical knowledge and its own inviolable principles." ​The Montreal-born, internationally renowned pianist who died five days ago at the age of 83 had a career that spanned over 60 years. He was one of jazz music's most innovative artists and he played a key role in the free jazz revolution of New York in the 60s. Bley was also an early adopter of the Moog synthesizer in jazz. Over his career, Bley played and recorded with Ornette Coleman, Lester Young, Sonny Rollins, Chet Baker, Charlie Haden, Lee Konitz, Pat Metheny, Jaco Pastorius, Bill Frisell and many others.